The Liberty has always had a bit of “When you’re a good thing – stick to it” philosophy about it and that’s what we love about it. The 2018 Liberty keeps everything good from its predecessors, adds more and makes it better. Beautifully proportioned and styled with subtle cosmetic changes, safety and convenience upgrades the 2018 Liberty is a better all round and liveable vehicle. It just makes you feel at home driving it. 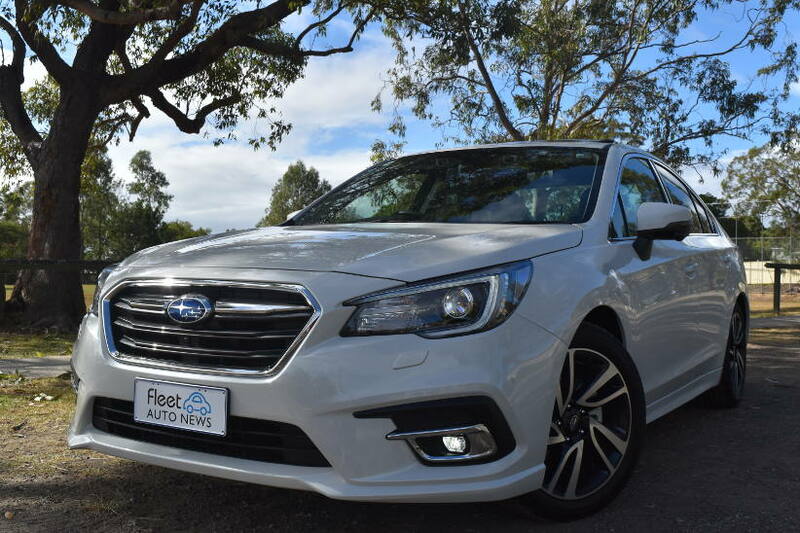 I drove both the 2.5i Premium and 3.6R, which are very comfortable, luxury mid-sized sedans. Both have symmetrical AWD with CVT transmissions and feature SI-Drive modes including Sport Sharp (S#) on the 3.6R, for faster and better engine response. 225/50R18 Dunlop tyres are standard on both, with a full size 18” alloy wheel for the spare tyre as well. The 2.5i Premium Auto Start Stop is smooth restarting and the 3.6R’s six cylinder engine is exceptionally quiet, very responsive and powerful for when you want to ‘really enjoy’ your drive. On the road, both cars are beautifully balanced and drive superbly. Perfect examples of what a daily drive should be. They just do everything right, every day, every time. 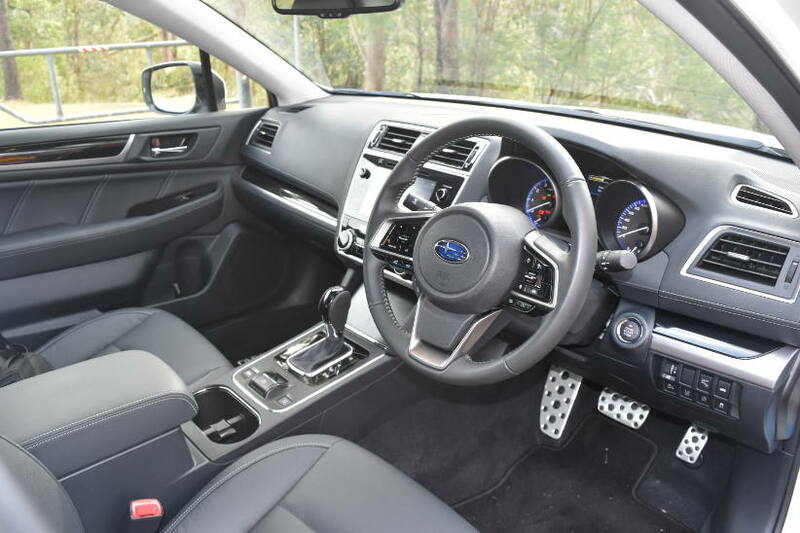 On the inside, leather seats all round with power adjustment/memory settings for the driver and heated front seats. 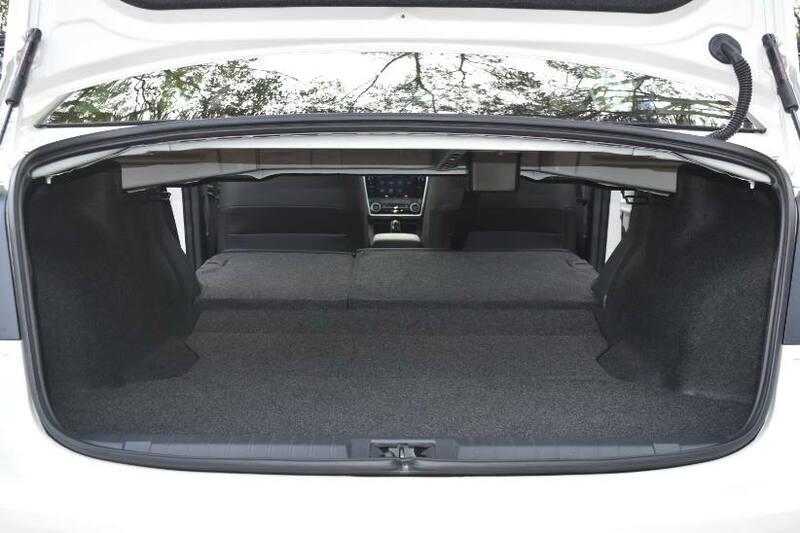 Rear seat passengers enjoy exceptional head and leg room; and there is a decent sized boot as well. At night the interior is subtly lit providing an ambience and quality feel to the vehicles. A new enlarged central display features as part of the tech upgrades on Liberty. Apple Car Play/Android Auto is now standard across the range with Siri compatibility for 2.5i Premium and 3.6R. 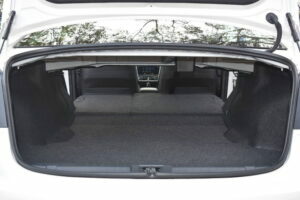 The 3.6R also enjoys an 11 speaker harmon kardon audio system. Two USB ports are provided front and rear and two 12V in the front. Subaru’s third generation Eyesight driver assist system features on all 2018 Liberty and now includes Lane Keep Assist. Utilising higher resolution stereo cameras and colour recognition, performance of the system is optimised. Allowing improvements in Liberty’s Pre-Collision Braking performance and Adaptive Cruise Control, with enhanced pedestrian avoidance, brake light recognition and an increase from 30km/h to 50km/h maximum speed for Eyesight to “step in” to help avoid an accident. Liberty retains its five star ANCAP rating. In addition to Eyesight, both 2.5i Premium and 3.6R feature Vision Assist. With front and side monitors, blind spot monitoring, rear cross traffic alert and adaptive headlight driving beam. Although for the most part, I found the adaptive driving beam was just annoying. Switching to low beam when it didn’t need to and not switching to high beam when it could. So I just turned it off (the adaptive beam – not the headlights!). The 2.5i Premium starts at $41,400 drive away and the 3.6R at $48,105. Subaru offers a three year unlimited km warranty, capped price service program and roadside assistance. I enjoyed driving both these cars as they deliver a satisfying and pleasurable drive every time you push the start button. I would be happy with either parked in my driveway. Considering a novated lease? do better, live a Liberty life.